Did you know that as you're listening to this broadcast right now, you're glowing? That's right. It's recently been discovered that human bodies emit a visible light in extremely small quantities at levels that rise and fall through the day. Hello friends, this is Doug Bachelor. How about an amazing fact! Did you know that as you're listening to this broadcast right now, you're glowing? That's right. It's recently been discovered that human bodies emit a visible light in extremely small quantities at levels that rise and fall through the day. Research has shown that people give off a dim light, about 1000 times fainter than the levels that we can see with our naked eyes. In fact virtually all living creatures emit varying amounts of weak light, which is thought to be a byproduct of biochemical reactions involving free radicals. Keep in mind this visible light is different from the red glow of body heat captured by infrared cameras. In fact, infrared cameras show some of the hottest part of the body gives off very little light. To learn more about this faint human light, scientists in Japan used extremely sensitive cameras capable of detecting a single photon, the smallest unit of light. For three days five healthy young men were placed bare-chested in front of the cameras. They sat in perfectly dark light-proof rooms for twenty minutes every three hours from 10:00 AM to 10:00 PM. The researchers found the body glow of these men rose and fell over the day with its lowest point at 10:00 AM and its peak at 4:00 PM. The findings suggest these light emissions are linked to our metabolic rhythms that fluctuate through the day. It was also discovered our faces glow more than the rest of our body. This might be because facial circulation is more dense and closer to the surface. Also, melanin in the skin pigment has a fluorescent component that could enhance the body's miniscule light production. Since this faint light is linked within the body's metabolism, these findings suggest in the future, special cameras that can spot the weak emissions of a person's light might help identify medical conditions. Did you know the Bible speaks about a man who had a glowing face? Stay with us friends. We're going to learn more as Amazing Facts brings you this edition of Bible Answers Live. Welcome to "Bible Answers" Live brought to you by Amazing Facts Ministries. Are you looking for a clear, concise answer to your most challenging Bible questions? Maybe you're struggling to understand difficult passages of scripture. If so, you've come to the right place. Join us now as we open God's word to discover his will and find honest, practical answers to your Bible-related questions. This broadcast is prerecorded. 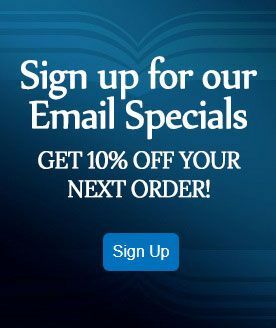 If you have a Bible question call us Sundays from 7 to 8 PM Pacific Standard Time at 800-GOD-SAYS, that's 800-463-7297. Now let's join our host, author, speaker and evangelist, Pastor Doug Batchelor. Pastor Doug Batchelor: Hello listening friends. You've found your way to Bible Answers Live and this is a fresh live program. If you would like to call in with a Bible question, that's what we're all about. We have lines open right now and the number is 800-GOD-SAYS. That's an acronym for 800-463-7297. As I said, we do have some lines open so if you have a question relating to the Bible, God's book, this is a program dedicated to searching for the answers together. We'd invite you to give us a call. My name is Doug Batchelor. Pastor John Ross: My name is John Ross. Good evening listening friends. Pastor Doug, let's begin with a word of prayer. Dear Lord we ask for your blessing on this program today. We ask that you'd give wisdom to us as we search the scriptures. We ask that you'd be with those who are listening, wherever they might be. We ask this in Jesus' name. Amen. Pastor John Ross: Pastor Doug you opened with a fascinating fact about the human body illuminating or transmitting just small amounts of light and then you spoke about the face having more light that's shining forth--I mean talking about tiny little amounts of light. But who was it in the Bible whose face shone? Pastor Doug Batchelor: If you read in Exodus 34 verse 29--I think people already know the answer when I say Exodus--that Moses, when he went up the mountain, he was talking to God face to face, and when he came down--you can read this here--"now it was so Moses came down from Mount Sinai." And the two tables of the testimony--the law of God in Moses' hand--that when he came down from the mountain, Moses did not know that the skin of his face shone while he talked with him. "So when Aaron and all the children of Israel saw Moses, behold, the skin of his face shone, and they were afraid to come near him." His face was shining with some kind of inner glow. Matter of fact, it was so powerful--the Bible even says finally the people said "Look Moses, until you veil your face, we can't even talk to you." And then you can read in the New Testament where when Stephen was about to be executed because of his faith the heavens were opened and he saw Jesus and his face was shining with the Glory of God. This principle is in the Bible. Adam and Eve in the Garden of Eden--when it says they had no artificial clothing--people think that's because they were just streaking around naked and just totally oblivious that they were. In reality they were probably talking to God on a regular basis. They were glowing. . .
Pastor Doug Batchelor: . . . and after they sinned, the light went out. Jesus is called the light of the world and then he says to the church "You are the light of the world," that we're to set our light on a hill where everyone can see. The Devil's been trying to obscure that light but God's plan is that his true people allow the light of Christ to shine through them. The Bible is called the lamp--"the word of God is a lamp unto our feet and a light unto our path"--and if you're reading your Bible and you're praying, you will glow better, friends. And maybe you'd like to know more about that and we have a free offer for you tonight. It's called the Bride of Christ and it's--matter of fact we once titled this lesson "Clothed with Light" because it talks about this woman in Revelation 12 who is glowing. She's wearing the crown of stars and glowing with the light of the sun and standing on the moon. It's a symbol for God's church. If you'd like to understand that prophecy and more about what the Bible says about God's true church, ask for our free study guide tonight, the Bride of Christ. Pastor John Ross: The number to call is 1-800-835-6747. That's our resource line and the offer tonight is the Bride of Christ and we'll be happy to send that out to you. Well Pastor Doug, let's go to the phone lines. Our first caller of this evening is Mark and he is calling from Knoxville, Tennessee listening on WITA. Mark, welcome to Bible Answers Live. Marc: Yeah I'm wondering if there's a difference between "forever" and "forever and ever." I know that the word "forever" can mean a limited period of time but I wonder if "forever and ever" means like a much longer period. Then I looked up "ever" in and one of the words it gives is "age", "perpetuity" and "course" and all that. Does the word "age" imply like millions of years? Pastor Doug Batchelor: Well, there's different places in the Bible where you find the word "forever." In the New Testament I believe--for instance, when you look in Revelation 11--it uses the word "forever" there and it's talking about--if I'm not mistaken--it’s the word "anon." Let me look at that. . .
Pastor Doug Batchelor: Yeah, there we go. When you find the word "forever" here-well "forever and ever" is. . .
Pastor John Ross: The literal translation "unto ages of ages"
Pastor Doug Batchelor: Yeah, "from ages to ages." It varies a little bit depending on which reference you're talking about. Did we lose our caller? I think we did. Pastor John Ross: Mark, are you there? Pastor Doug Batchelor: Looks like he dropped off. Pastor John Ross: Well Mark if you give us a call back. Let me give you the number 1-800-463-7297. Pastor Doug Batchelor: Hopefully Mark can still hear us, perhaps on the radio program. Anyway so the actual words in the Hebrew and the Greek, depending on the verse, could be different. But when it's repeated "forever and ever" it's usually an emphasis of what that means. Sometimes Jesus is "verily, verily" and God sometimes would call a man like Abraham and then he'd say "Abraham, Abraham." There's an emphasis when you say something twice. So you read in its context and you can understand a little better there. We should also remind our friends we do have other lines open if you have a Bible question tonight. It seems quiet on the phone linestonight. Just pick up your phone you've got a good chance of getting your Bible question on tonight's broadcast. We're hooked into over three hundred stations. 800-GOD-SAYS. That's 800-463-7297. Pastor John Ross: You know just to say something else there Pastor Doug about "forever"--sometimes you read some verses--for example in Revelations chapter 14 it gives the impression that the destruction of the wicked or fires of hell will be this endless burning forever and ever but, you know, looking at the context of forever does it mean eternal or does it mean until life ends? Pastor Doug Batchelor: That's exactly--when you look in the--for instance when God is talking about us living forever--well you read all the other passages about that--it means "without end". When it's talking about the destruction of the wicked, they'll be consumed until they are no more. The context there is different sometimes the words are different too that are used, depending on the Old and New Testament. Some context is very important in that question. Pastor John Ross: All right, well we’ll go to the next caller. Dorothy is listening on the Internet from North Carolina. Dorothy welcome to the program. Pastor Doug Batchelor: Hi Dorothy, how can we help you today? Dorothy: I have a question about what the Bible says about marriage and when alcohol is involved in the marriage. I'm married to an alcoholic, almost 20 years, and it seems like lately he's drinking more, and the more that he drinks the more that I don't wanna be around him--not meaning leaving him--just going to a different part of the home and is not being around him. And it seems like the more I don't want to be around him the more he drinks and I just am looking for some Bible advice about that. Pastor Doug Batchelor: Wow. You know that it is a heart aching situation when you're in a relationship where there is--one of the spouses it is basically addicted to a substance. You don't want to--don't let that discourage you. Of course, it's an opportunity for your faith to grow. You know, if there is abuse--sometimes when there's alcohol there is--you might need a separate yourself from this situation. Obviously if he's open than you would want to engage him in counseling, get some good Christian counseling. But encouraging accountability as far as possible and at the same time giving that support that's needed is very important. I appreciate your questions and I hope that helps a little bit. Any thoughts on that? Pastor John Ross: That is a difficult situation especially if the spouse doesn't recognize the need or want to acknowledge their need of Christ. The best you can do is pray for them try to be a Godly witness, pray for strength. God's gonna have to carry a person through some difficult. . .
Pastor Doug Batchelor: And sometimes you need to pray--I've seen people pray and they say, you know, I prayed and got it worse. Well sometimes what's happening is God has to bring them to the bottom before they can really get the victory. So I hope that helps a little. Pastor John Ross: Thanks for your call Dorothy. Going to our next caller. Augustus is listening on the Internet from San Diego, California. Augustus, welcome to the program. Augustus: Yes my question for Pastor Doug is: I read in Second Samuel 24 verse 1--it says "and again the anger of the Lord was kindled against Israel and he moved David"--so it was saying--Second Samuel 24 verse 1 said that "the anger of the Lord moved to David to count Israel" but then when I look at First Chronicle 21 it says "and Satin took up against Israel and provoked David to number Israel" so--I don't know--it says in Samuel that it was the anger of the Lord and—it's the same account but it's saying two different people. Pastor Doug Batchelor: That's a good question. Let me see if I can reconcile that a little bit. David and the nation of Israel had become proud because they were winning victory after victory and the nation was growing and their territory was growing and their income was growing and David began to think "Boy, I've got a pretty big army. I wonder how big they are? ", and that people were also feeling that way so when it says "the anger of the Lord was kindled against Israel" the people stopped trusting in God and began to trust in their own strength and numbers. So because of that the Lord withdrew his protection from them. Satan came in he took advantage of the pride in David's heart and the people and David began to number how big the army was. Now even David's General, Joab, said "this is a bad idea David, you know, it's not coming from the right motive" and he started numbering the people. Plague came on the nation of Israel. So you're getting the same story from two different perspectives, the author of Samuel and the author of Chronicles. They're really saying the same thing. One is approaching it from the attitude of the people's hearts. David and the people had become proud-the Lord was disappointed with them-and the other is approaching from Satan used this pride as an opportunity to create problems and cause sickness and death. Augustus: Well, thank you, Pastor Doug. Somebody else might be waiting for you. Thank you and God bless you and the program. Bye. Pastor Doug Batchelor: Hey I appreciate that, Augustus. No problem. Pastor Ross? Pastor John Ross: You know you mentioned earlier in the beginning here--we spoke about the light and so on. Amazing Facts has just released a brand new documentary series dealing with well--talking about creation and the fall. Tell us a little bit about that. Pastor Doug Batchelor: Yes we are really excited, friends. We've got something that Christians from all faiths will really appreciate. How often have you heard someone say "Why is there sin if God is loving, if God is good. Why did God make a Devil? Did he make a Devil? Why does he make innocent people suffer?" All these questions about if God is powerful, why doesn't he just destroy the Devil? We just finished a project we'd been working on for 3 years now called the Cosmic Conflict - The Origin of Evil. Using the Bible, it takes people back in time to the center of the universe and it talks about how this beautiful angel that we now know is Satin--his name was Lucifer--his rebellion began in heaven and it's a DVD--high definition--that we encourage people to use as a witnessing tool. If they want to know more about it they can not only go to Amazing Facts—you'll see it's the first thing that pops up. Just type in "amazing facts." You wanna get your order in now. There's a special that they have now you get an additional witnessing gift called Panorama Prophesy but you can also simply type in "cosmic conflict." It'll take you to the website cosmicconflict.com or cosmicconflict.org and it's a pretty exciting program. By the way you at least wanna look at the trailer. Go to cosmic conflict look at the trailer. That there really explains it pretty well. Pastor John Ross: All right going back to the phone lines. Ron is listening on WMCA from Greenwich, Connecticut. Welcome Ron to the program. Is it Rod? Pastor Doug Batchelor: Hi Rod, you're on. Rod: Hi. I'm having trouble reconciling two passages. I apologize if I can't quote the exact passages. First in the book of Acts it says "whosoever shall call upon the name of the Lord shall be saved" and then in the Gospels, I remember Jesus being quoted as saying "Not everyone who says Lord, Lord will enter the kingdom of heaven." Rod: It's very disturbing to me, you know, it seems in conflict and I don't understand it. Pastor Doug Batchelor: Well the first reference is Acts 2:21 where it says "and it should come to pass that whoever that will call on the name of the Lord shall be saved." In the Jewish mind, to call on the name of the Lord did not mean that somebody suddenly found out that they're on the diving board and there's no water in the pool and they're gonna call out and now they've got eternal life. Calling on the name of the Lord-it was a practice of the life. In other words, those who turn and their habit now is to call upon God, they will be saved. It's not talking about someone who dials a number at the end of their life and automatically whoever does that is gonna be saved. That sounds like it's trivializing what's important and I've seen some churches and pastors use this verse in that way and it's really not faithful to the rest of the scripture. Yes, anybody can come to Jesus right now just like they are and if they genuinely repent, they can be justified, forgiven and they get the gift of eternal life. But, there's--they genuinely need to repent, it's not just verbally saying God's name and you're gonna be saved. If there's no repentance in the heart and they're saying "Lord, Lord", that's what Jesus said. A lot of people are going to say "Lord, Lord" and he'll say "I don't know you, depart from me you who work iniquity". Their lives are full of iniquity, but they're using God's name. So that's calling on the name of the Lord in vain. It's just the idea of calling on the name of God in the Hebrew mind, which the Apostles all were, meant more than dialing his number and--one time and that's it. It's a way of life. Pastor John Ross: You know, we've got a book dealing with the subject on what a person has to do to be saved. It's called Three Steps to Heaven and it talks about what is involved. Is it just simply saying a prayer or is there maybe something a little bit more—dedication of the life to God and a willingness to follow him. For anyone listening, if you'd like to receive that book Three Steps to Heaven the number to call is 1-800-835-6747.1-800-835-6747 and the book is Three Steps to Heaven. Pastor Doug Batchelor: By the way Rod that other verse is Matthew 7:21 and 22: "Many will come to me in that day saying Lord, Lord" so I think that's the one you're referring to. Rod: Yeah but to me they prophesied in his name, you know what I'm saying? Pastor Doug: The word prophesied means that they're preaching in his name, but they don't know him. Rod: But it's not like it's just a last second conversion. Pastor Doug: Right these are people—the Lord has made it really clear there's gonna be a lot of folks who are hypocrites. They think they're saved and they really aren't surrendered to the Lord. This is one of the big issues Jesus had all through his ministry in talking to his own people—the Jewish nation. They had the Bible many of them said "Hey, we're God's children" and the Lord said "Look, you're not God's children if you don't believe in me, you're the children of your father, the Devil" and so there's a lot of weeds that are sometimes sewn among the wheat and Jesus said that those weeds are the children of the wicked one. But they're pretending to be believers. So, hypocrisy is an epidemic, not only in Christianity but probably many religions. Now that's what Jesus is sharing here. Pastor Doug Batchelor: Yeah, it is. You know the book that Pastor Ross mentioned—I think that you would really enjoy. Pastor John Ross: Three Steps to heaven. Again the number is 1-800-835-6747 and again if you want to know what you have to do be saved, give us a call. 816-835-6747. Pastor Doug Batchelor: Try that one more time? 816? Or 800? Pastor John Ross: Did I say 816? It would help to look at the right number. 800-835-6747. All right, our next caller is Melinda and she is calling from Knoxville, Tennessee. Melinda welcome to the program. Melinda: Yes, Pastor Ross. I had a question for you and Pastor Batchelor. What I want to know was if--how do I know if my prayers are being answered and I've heard you say before that the answer might be positive or negative--it might not be what we want--but how do I know if I can hear him? How do I know I got an answer? Pastor Doug Batchelor: That's a good question. Well first of all, you look at the evidence around you. Sometimes it's comes through God's spirit. Sometimes the Lord will show you something in his word. Let me explain. Let's suppose you're simply praying for physical healing from some sickness. The evidence that that prayer was answered is that you get better. You may pray about it several times. The Lord could say to you what he said to Paul-look I'm not taking this away from you because my strength is made perfect in weakness and you're gonna just--you're gonna have to learn to trust me and bear this cross of hay fever or whatever it is you're praying about. Sometimes you'll pray about something and you'll wonder if it's God's will and then you look in the word and you say "Oh Lord, thank you for showing that to me. Now I know this is the answer or it's not the answer." Sometimes God's spirit will speak to your heart and, you know--God will often speak to you through others. You'll pray for guidance and all of a sudden someone will come along and they've got the wisdom to tell you just what you needed to know. So you just keep your mind and heart and spirit open to the leading of God. Keep staying in his word and you look at the providence around you. So, it depends on what you're praying for. Some people are praying for a million dollars to show up in the mail they've just gotta keep checking the mailbox. But. . .
Melinda: If they check the mailbox and the million dollars isn't in there and. . . .
Pastor Doug: then you've gotta check the newspaper for the help wanted section and they gotta get a job. So, the Lord might be directing in other ways. Melinda: Uh-huh, uh-huh. So, you really don't know, you've just have to trust him, whatever the result it is, is from God. Pastor Doug Batchelor: Well, you know--I'd like to give you a better answer. There's a book--I actually wrote it a couple of years ago. I'll send you a free copy, Melinda. It's called Teach Us to Pray. It not only talks about prayer, it talks about answers to prayer, which is really your question. If you call the number Pastor Ross is gonna give you, we'll send you a free copy. Melinda: Okay, okay Pastor. Thank you. Pastor Doug Batchelor: The book's called Teach Us to Pray. Pastor John Ross: The number is 1-800-835-6747 and the book again, Melinda, is Teach Us to Pray, not only for you Melinda, but for anyone listening who wants to know how can they pray, how do they know their prayers are being heard and answered. Our next caller is Kelly and she is calling from New York, listening on WMCA. Kelly welcome to the program. Pastor Doug Batchelor: Hi Kelly, you're on the air. Kelly: My question is: In the beginning, when Satan was an angel and he was in heaven--if God could foretell the future and was so powerful, why did he allow him to. . .
Pastor Doug Batchelor: Why did God make him or why did he allow him to rebel? Kelly: Why did he banish him onto the Earth when he could create sin? Pastor Doug Batchelor: I cannot miss the opportunity to use your question to remind people that Amazing Facts just released a one-hour DVD program talking about the origin of sin and it's got animation and recreations--it's like a docudrama. I'll give you a quick--by the way, that's called Cosmic Conflict. God is all knowing but he's also a God of love and because he's a God of love, he gives his creatures freedom to make decisions. I could ask anybody that gets married-why are you going to have children--assuming the people that get married are. Do you have any guarantee that they're going to love you? Do you have any guarantee that they're going to obey you? And of course the answer is "no," there is no guarantee. But people take that risk of having children because to love, you need to have freedom, so they go out on a limb. God allowed Satan to choose to love himself more than God and we can see the results in our world of self-love. Sin is selfishness--is what it is. So, I don't know if that helps answer what you're asking, Kelly. Something else we can do is send you a study guide, Did God Create the Devil? and it addresses this question in there as well. Would you like a copy of that? Pastor John Ross: That number to call, Kelly, is 1-800-835-6747. Ask for the study guide Did God Create the Devil. Pastor Doug Batchelor:It's got some beautiful illustrations in it and also helps specifically answer your question. Pastor John Ross: You know, Pastor, that's such an important issue there because there's a lot of things happening in our world and people look and say that if God's all powerful and he's a God of love, why would he allow that? I guess another way to look that is despite all the bad things going on the world, you can still see God's hand holding back the forces of evil. So God is involved, God is concerned and we going to keep reminding ourselves that this is not the end. We know the way this story ends and it ends good for those that love God. Pastor Doug Batchelor: Right, there's a battle raging in this world and oftentimes we sense it because it's being fought on the battlefield of our minds and hearts. People have seen before the image of the good angel on the one shoulder and the little devil on the other shoulder and people getting pulled in two directions with temptation and their conscience of what they should do and there really is a battle raging. And as Pastor Ross said, we often think isn't that terrible they just had a head-on collision on the freeway? We don't think about the millions of people driving that are being protected from those things and so God is good and he's interacting it's not just the Devil that's in this world, God's still in the world. They'd enjoy--Kelly you and others would enjoy--the DVD Cosmic Conflict. At least go to the cosmicconflict.com and check out the trailer. I think you'll be encouraged about what you find there. Pastor Doug Batchelor: I hear music coming up behind us and that tells us we're going to take a break, friends. We still have the best half of Bible Answers Live coming your way. If you've got a Bible questions, we still have a couple lines. Pick up your phone and call 800-GOD-SAYS, 800-463-7297 and please remember that so many of the questions and the resources we make available during this broadcast, you can hear them and study them by going to our website, which is simply AmazingFacts.org. We'll be back in just a moment. Pastor Doug Batchelor: We're back, listening friends and some of you joined us along the way. You wonder what in the world are we listening to. This is Bible Answers Live. It's a live international interactive Bible Study. We'd like to invite you to interact right now. If you've got a Bible question, you can call that toll-free number 800-GOD-SAYS that'll bring you to our studios. Keep a pencil handy because we give out another number for our free resources and sometimes multiple website where you can continue your study through the week. We want to try to get as many callers as we can in. We said at the beginning we had no callers, now we're full-up. Who's next? Pastor John Ross: We've got Joan and she's from San Luis Obispo, California. Joan, welcome to the program. Joan: Thank you for taking my call, Pastor Doug. I enjoy your program very much. I always learn something, and as you were speaking to the young lady earlier about prayer, I almost saw some of my question answered so if I'm redundant, excuse me. Pastor Doug Batchelor: That's ok. How would you word your question now? Joan: I have walked with the Lord pretty much most of my life but I have a terminal disease but we're all terminal. Nobody ever told everybody that. Joan: But I find that--I seem--my prayers become repetitious. I have my little prayer book where I write down people I'll pray for or something and now I think I've come back to this again and again and again. I don't know how to reach out further or. . .
Pastor Doug Batchelor: You feel like you get in a rut with your prayers? Pastor Doug Batchelor: Well, let me suggest something, first of all. If you call, we will send you the book we mentioned earlier, Teach Us to Pray. For instance, the Lord's Prayer--some people say that over and over again. That was never really the Lord's will for us to just repeat that like a mantra. The Lord's Prayer Christ said "pray in this manner." It's an outline for our prayers. First we talk about God, we talk about his glory and his kingdom, then we talk about our needs. And in the Lord's Prayer, it never really says "me" or "I", it's always "us"-forgive "us", lead "us", deliver "us" and so prayer should also be selfless--the more we pray for others, you know, the more we get our prayers answered too. So, one thing you can do is look at the prayers in the Bible. A lot of Bibles will have the prayers of the Bible listed other places in the Bible and you can sometimes use them as a pattern for your own prayers and that'll give you a tip. Pastor John Ross: And also if you take the book of Psalms, you could read a psalm and meditate on that and say "well, what is that telling me? What is that revealing to me about God and his love for me" and then pray as the Holy Spirit brings thoughts to your mind. So, praying with the Bible open in your hand is another way that you can keep your prayers from becoming redundant. Joan: Yes, very comforting, yes. Pastor Doug Batchelor: That's a good point, yeah. The Psalms--a lot of them are songs but they're also prayer. Everybody who's a Christian--Joan, you're not alone--fall into the rut of saying the same thing and sometimes we can sing without think about the words, sometimes people pray without thinking about what they're saying, because it's a habit and so you really want to pray from your heart. Concentrate to do that. So, if your mind wanders, just bring it back in and focus on your prayers. Joan: I shall. Thank you so much. And what was the other—what number do I phone? Pastor John Ross: Let me give it to you again. It's 1-800-835-6747. 1-8083506747 and the book is Teach Us to Pray.Henry is listening on WMCA from Bronx, New York. Henry, welcome to the Bible Answers Live. Henry: How are you? Thank you for taking my call. Pastor Doug Batchelor: Yes sir, how can we help you tonight? Henry: Is there anywhere in the Old Testament or New Testament that there's such a place as purgatory? Pastor Doug Batchelor: You know, the word "purgatory" is not mentioned anywhere in the Bible. The Bible does of course does talk about the "lake of fire" where the wicked are consumed but sometimes different religions have developed a never-never land in the middle, kind of a holding place. Some have manufactured a doctrine of purgatory, a place where you supposedly--it comes from the word "purged"--you're not quite good enough for heaven but if you go to purgatory we're gonna purge out the final stains and then you can go. And in some churches you pray for people to get out of purgatory or they've got Abraham's Bosom which is another kind of waiting room for heaven supposedly, but it doesn't teach that. Pastor John Ross: Well you know, Pastor, part of that comes from an understanding of, or the misunderstanding of, certain passages of scripture which talk about the destruction of wicked. Some view it as ongoing endless burning and people say, you know, that person wasn't that bad, I mean they weren't good, but they don't deserve to burn forever so maybe there is this third place where you can kind of put them. . .
Pastor John Ross: and get them back in line and then but it's not in the Bible. Pastor Doug Batchelor: Yeah, you can't find the word anywhere. You know, Henry, you would probably appreciate a book that we've got on hellfire because in that, it addresses purgatory. It's a classic book by Joe Crews we'll send you a free copy. All you've gotta do is call a toll-free number and ask for the book The Twisted Truth on Hellfire. You just tell them hellfire and you'll get it. Pastor John Ross: The number is 1-800-835-6747. Ask for the book on hellfire, The Twisted Truth on Hellfire and we'll be happy to send that out to you. Thanks again for your call, Henry. Our next call is Joe and he is calling from New York, listening on WMCA. Joe, welcome to the program. Joe: Hello, how are you? Pastor Doug Batchelor: Hi Joe, you're on the air. And your question? Joe: Ok, I have a question to--is Jesus--is it all about Jesus-the Bible like? Is the Bible, if it was never written, would--Jesus would still be all about Jesus--God's whole plan and giving his Son to us to die in our place? More about Jesus than about the words in the Bible and the whole Bible? 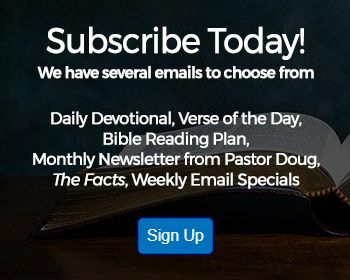 Pastor Doug Batchelor: Well the central theme of the whole Bible is Christ and even Jesus said, before the New Testament was written, he said the scriptures all the way from Moses to the Psalms and the Prophets, talk about him. In other words, when Joseph is sold by his brothers for the price of a slave and then he forgives them, Jesus was sold for the price of a slave. When Abraham took his son up the mountain and the wood was on Isaac's back, Jesus the son of God went up the mountain with the wood on his back. When Sampson stretched out his arms and laid his life down, Jesus stretched out his arms and laid his life down. When David went up the Mount of Olives weeping, Jesus went up the Mount of Olives weeping. And so, you just go through all these stories in the Bible and you can see the shadows and echoes of Jesus everywhere in the Bible. So yes, the whole Bible's about Jesus. Joe: So it's entirely about Jesus. Pastor Doug Batchelor: Well he is the central theme. It's like Paul said, the cross and him crucified was everything. The cross of Christ can be seen in all the stories and the history of the Bible, the sacrifice of Jesus. He is the lamb in the Old Testament that was sacrificed. That's why John the Baptist pointed to him and said "This is the lamb of God. Pastor Doug Batchelor: The cross is the axis on which the entire Bible revolves. Pastor Doug Batchelor: Pastor Ross? Pastor Doug Batchelor: Yep, it's amazing. I've gotta put a book together someday called "Christ in All the Bible." It's a class I teach--I have an evangelism class I teach and it just deals with how Jesus is in the Bible from cover to cover and it's one of my favorite subjects. You know, you would enjoy our study guide on the Bible, Joe, and it's the Amazing Facts study guide number one. It's called Is There Anything Left You Can Trust? It deals with the Bible and dependability in the theme of the Bible. We'll send you a free copy. Pastor John Ross: The number to call is 1-800-835-6747 and the study guide is Is There Anything Left You can Trust? It's all about the Bible. Next caller is Brandon and he's calling from Bakersfield, California. Brandon, you're on the air. Brandon: Hi, thanks. My question isn't about a particular part in the Bible but I was curious--It's my belief that Satan doesn't have the ability to be everywhere at once like God does. He has to--obviously he has his priorities of what his plans are in this world but--in terms of his fallen angels, do they have the ability to actually plant thoughts in a person's mind, as if--like an evangelist passes out tracts--does a fallen angel actually have the ability to plant a thought in a person's mind that wasn't there to begin with? Pastor Doug Batchelor: I believe the answer to that would be a resounding "yes" because--while the Devil and his angels cannot read our minds, because the Bible says, I believe, in First Kings chapter 8 that "God and God only knows the thoughts of men's hearts"--yeah, I think it's First Kings chapter 8 verse 32--the Devil can't read our minds but they can put a thought in their minds. You and I--as we're talking right now, I'm putting thoughts in your minds and you are in mine. We can influence each other's thinking. Somehow demons and even angels, good and evil angels, can impress our minds with thoughts. How they do that, I don't know. I don't know if they're whispering in our conscience somehow, but somehow they can speak to our spirits and that's how temptation comes. The Devil personally is too busy to go around and tempt everybody in the world, but we know everybody in the world's tempted, so the only other alternative--the Holy Spirit's not tempting them--God doesn't tempt anyone, the Bible says--the only alternative is it's Satan's angels are doing that work. Pastor John Ross: We have a verse in First James chapter 1 verse 14 talking about temptation but every man is tempted when he is drawn away, of his own lusts, and enticed," and so you have the lust but you also have the enticement, the temptation, and somehow the Devil's able to entice a person and he's had 6,000 years-or his angels have had 6,000 years to work on that. Pastor Doug Batchelor: have been practicing. Pastor Doug Batchelor: Well, I want to say the less likely they are to tempt you. I'd say the closer to God you are, the easier it is to resist the temptation. Christ, when he was tempted, met all the temptation with the word of God and so--the very fact that Jesus was tempted--could anyone on Earth be closer to God than Christ was?--yet he was tempted. And the temptation in the wilderness was not the only time he was tempted. I'm sure that all through his the life, the Devil or his minions were assaulting Jesus with various temptations but he just walked in the presence of God and he walked in the Spirit and he had the word of God in his mind and that's what he used to fight temptation and he lived by the word. Pastor Doug Batchelor: And that's our best weapon. Pastor John Ross: We've got a book, Pastor, that--you wrote this--Tips for Resisting Temptation. Brad, if you there or anyone else wanting to know more about how you can resist these enticements of the evil one, the number to call is 1-800-835-6747. That's our resource line and we'll be happy to send out the book Tips for Resisting Temptation. Cindy is calling from Miami, Florida. Cindy, welcome to the program. Pastor Doug Batchelor: Hi Mi--Hi Cindy, I almost called you Miami. Hi Cindy. Cindy: Hi, I apologize. I know last time I called and I fell asleep, I'm sorry. Pastor Doug Batchelor: Oh, waiting for the call. That’s not good advertisement. But anyway, what's your question? Cindy: I have a question in regards to--why is it that God--he would sometimes have the Israelites--in general when they were getting with, like when they were settling into--Joshua and the Israelites were sometimes, during the kingdom years, he would have the Israelites not only just kill off the men but also the women and children, I mean, isn't that--doesn't--I mean. . .
Pastor Doug Batchelor: Yeah, it sounds very brutal. They were at war and, you know, we have this Geneva Convention we're supposed to be very careful about in our wars, you know, guarding the women and children and non-combatant civilians. 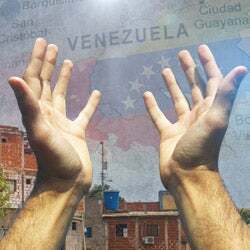 These nations were extremely corrupt in their belief, and even the diseased, they were offering their children to pagan gods, sacrificing them in the fire. They were doing thing as bad as Sodom and Gomorra or worse and they all had a vow to also exterminate the Israelites. God had warned them not to intermarry. Now these people knew the Israelites and they could flee and escape. They were basically warned: those who refuse to surrender and flee, and vacate their cities, that they were gonna be annihilated. And so, the nations that did not take some precaution, they were met with the hurricane of God's wrath. Pastor John Ross: In Genesis chapter 15 verse 16, God is talking to Abraham and says that his descendants were to go down for four generations and then they were to come back to the land of Canaan and the reason they were to go and then come was because the iniquity of Amorites was not yet full, so it appears as if God was giving these nations, these pagan nations, opportunity to repent--the iniquity had not yet reached its limit--but then the children of the Israel returned there was that judgment aspect that came into play. There is one other thought with reference to the destruction of the children. You know if those children were left to grow up in those pagan environments they would have probably turned out like their parents, but if they were--you know if their lives were taken under the age of accountability--talking about babies and very young children--there is a possibility that they might be part of resurrection and grow up in heaven versus growing up in that pagan environment. Pastor Doug Batchelor: And then be lost for eternity. Yeah, so—I know these things are difficult to understand but the national wars they had back then were extremely brutal and it was also sending a signal to the other nations that would attack Israel. It is a difficult question but someone might also put it this way-why did God allow women and children to die in the flood. I mean, whether it's a sword of a flood-I mean there are judgments to come. And not only did judgments come from the Lord against the enemies of Israel, judgments came from the Lord on Israel women and children as well as the soldiers, because when they turn from God they're protection was withdrawn. So, I hope that helps a little bit, Cindy. That is a tough question and we hear that frequently. Pastor John Ross: Next caller is Marianne and she's calling from Jersey City, New Jersey, listening on WMCA. Marianne, welcome to the program. Marianne: Hi gentleman. I came across a radio program--a man wrote a book, a timeline of the end of the world to be in 2011. Is it possible that he's figured it out? Marianne: I know it says in the Bible, "no man shall know." Pastor Doug Batchelor: Yeah, I think I'm acquainted with the book you're talking about. I wouldn't put a lot of stock in that. I'm not questioning his sincerity, but that same man wrote another book that predicted, I think, 1995 or '96. 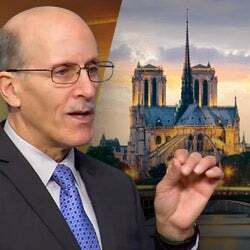 . .
Pastor Doug Batchelor: '94 that the world was going to end and he obviously missed it, so I think his credibility as a prognosticator would be pretty low. You know, the Bible says if someone claims to have this kind of prophetic gift of setting dates and then they fail--Moses said, or God actually said through Moses, "don't fear them." Now the Lord may come before that. We don't know the day and the hour--I mean, it could happen sooner. I would take that book and. . .
Marianne: You didn't read it I guess. It seems. . .
Pastor Doug Batchelor: I've heard the speaker I've spoken with him before. I've spoken with the author before. Marianne: From what I hear, can you not, because I had my misgivings also. Pastor Doug Batchelor: Yeah,I'd find the circular file. Marianne: Okay, he wrote a follow-up book too. Pastor Doug Batchelor: Jesus said if any man says he knows the day or the hour-- right then and there is good cause when they start setting dates--to go the other way. Pastor John Ross: We always seem to see this when there's some event taking place or we're coming up on the year 2000, there was no end of people predicting the coming of Jesus just around the corner. But, you know, in reality we need to be ready every day. . .
Pastor John Ross: because we are--this could be our last day. Pastor Doug Batchelor: That's right. We have no guarantee of tomorrow. Pastor John Ross: All right. Our next caller then is Joe and he is calling from Wayne, New Jersey, listening on WMCA. Joe, welcome to the program. Pastor Doug Batchelor: Hi Joe. And your question tonight? Joe: My question is--well, the woman you were just speaking with about the end of time and all--this on man predicted the date--but not to get on the topic of him but I read Revelations and it's very hard to understand. How would one decipher Revelations and try to understand the end of times? Pastor Doug Batchelor: I'm glad. . .
Pastor Doug Batchelor: I'm glad you asked. There is a seminar that we have online and you can watch it for free. It's called Prophecy Code. Matter of fact, there's a website, it's still under construction, but you can watch these videos for free there and the website's called bibleprophecytruth.com and there's a whole video series there called prophecy code. But let me give you a quick answer, Joe. Revelations is written in symbols. Once you understand what the symbols mean, it's very easy. For instance, it talks about a dragon in Revelation chapter 13 and chapter 17. What is that dragon? Well, you look--the serpent and the dragon in Genesis is the Devil. Revelation talks about a lamb in chapter 5 and other chapters. What is that lamb? You go to John chapter 2 and it says that lamb is Jesus--or it's gospel of John chapter 1--the Lamb of God is Jesus. So, you apply what the symbols are. We talked about--we've been offering a lesson tonight on the Bride of Christ, it's on Revelation 12. If you ask for that lesson, it goes right through Revelation chapter 12 and it shows how this woman is a symbol of God's church. So when you get the symbols--and we give you the scriptures that show it--proves what these symbols represent. We don't just make these up because we ate lobster last night and had a dream. These are the symbols that are given in the Bible. What do these different images and visions mean? And you can understand them. The keys are there to unlock it. Pastor John Ross: And you know, Joe, there's so much in Revelation to study but you can understand it. Amazing Facts has a Bible study course that is free--you can take it through correspondence or you can take it online, but it'll go through these various themes of Bible prophecy and explain what these various symbols represent. It's absolutely free and I think it's well worth just calling that resource line and saying "I'm interested in that online Bible study course that you guys have to offer" and they'll be able to give you the information that you'll need. 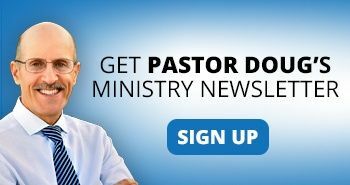 Pastor Doug Batchelor: You can either study it online or you can mail in the lesson and fill 'me out--get a hard copy. Pastor John Ross: Fill it out, send it back and someone will correct it for you. The number is 1-800-835-6747, 1-800-835-6747. Also, Joe, don't forget that website, bibleprophecy. Pastor John Ross: Our next caller is Joey and he is calling from Arkansas. Joey, welcome to the program. Joey: Yes sir. I was just wondering can angels appear in dreams to either tell you what's going on or to, I guess, clear your doubts or, I guess, prove your doubts or. . .
Pastor Doug Batchelor: I believe--a quick answer would be "yes," you can read in the New Testament "an angel appeared to Joseph in a dream" and warned him to flee to Egypt--and I think that angel came in a dream. So, angels speak visibly to people. Sometimes angels will whisper, sometimes people will see angels in visions, like John the Revelator in the last book of the Bible. So, the simple answer would be "yes," angels can appear in our dreams. Probably not only good angels, but as we said earlier, in the same way evil angels can tempt us, I wouldn't be surprised if evil angels cannot also induce nightmares. That make sense? Pastor John Ross: You know, you referenced the angel appearing in a dream to Joseph--it's interesting you can read about it in Matthew chapter 2 verse 13—not only did the angel appear in a dream to Joseph when he was to fleeing to Egypt, but the angel appeared in a dream to Joseph when in Egypt and said "now it's safe to go back." So both times, in a dream, an angel appeared to Joseph--that's Matthew 2:13 and Matthew 2:19. Pastor Doug Batchelor: There you have it. Hope that helps a little bit, Joey. And we do have a lesson on angels. It's really talking about angel messages from outer space and we'll send you a free copy if you just call our resource number. Pastor John Ross: 1-800-835-6747. Ask for the study guide Angel Messages from Space. Will is listening from Florida, Jenson Beach. Will, welcome to the program. Will: Yeah, good evening. Good evening here, maybe good afternoon where you are. Pastor Doug Batchelor: Well, it's pretty much evening. Will: Out of Second Epistle, Peter chapter 3 verse 8, "but beloved be not ignorant of this one thing that one day is with the Lord as a thousand years and a thousand years is one day." Do you think that--because it's hard to--there's five verses here--there's three above that and two below it--just to try to explain that one verse it might have a different meaning but it's settled in between when Noah's day when the flood was there and also the judgment day. Do you think that might be a timeline thing? A timeline verse? Pastor Doug Batchelor: Well, it could be and let me tell you why. It says a day with the Lord is like a thousand years. Peter's actually quoting from the Psalms where it says "a thousand years in your sight are as yesterday when it has passed." The world right now has lasted--Biblically we've got about six thousand years of Bible history--then the Millennium in Revelation 20 is one thousand years like a one thousand year Sabbath for a total of seven thousand years. God told Adam and Eve in the day that you eat of the forbidden fruit you will die in that day you will die. Well, they didn't die that day, they lived 900 years but no man lived beyond a thousand years. Will: Yeah, no man lived…beyond the first sixty-five or something like that. Pastor Doug Batchelor: They all died within that first millennial day, you might way. So if a day with the Lord is a thousand years and God said you'll die in the day you eat the forbidden fruit. They did die in that millennial day. Compared to eternity, what's a thousand years? Will: Yeah, but. . .
Pastor Doug Batchelor: We're just about out of time I'm afraid we're gonna have to cut you off. Is there one last thought real quick? Will: I'll call you again. Pastor Doug Batchelor: All right, I hated to do that to you but I thought we'd get half way through a sentence and lose you here. Do we have for--probably don't have time for one more, do we. No, we don't have time for one more. Hey Will, I hope that helps a little bit. By the say, we do have a study guide that talks about the signs of the Second Coming and. . . .
Pastor John Ross: Ultimate Deliverance is what it's called. Pastor Doug Batchelor: We'll be happy to send that to you. It talks a little bit about some of the signs we again don’t set a day or an hour but there are signs when we can know when we can know that time is near and I think it also addresses Second Peter chapter 3. Those are some of my favorite verses in the Bible. Verse 10 says "but the day of the Lord will come as a thief in the night." Friends, that's what's happening soon. We're seeing the signs everywhere. Jesus is coming soon and we do want to be ready. That's why Amazing Facts has this program. If you'd like to know more about who we are and what we do, write down AmazingFacts.org. You can keep these Bible studies going all week long. Drop us a line along the way. God bless until next week, friends.